In the past I have written (as one clearly can’t write in the future) about how all too often companies downgrade from manufacturers to assemblers. Occasionally though there are companies that go the other way. 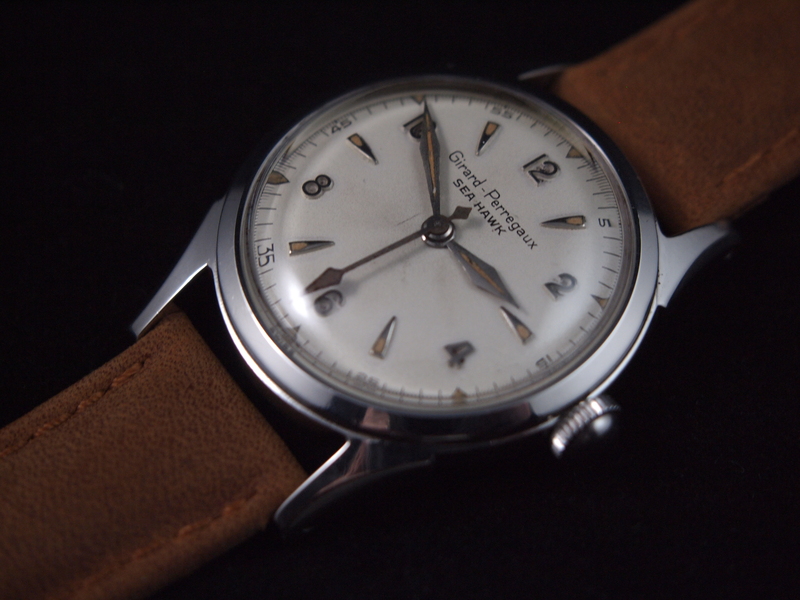 Girard Perregaux is a company that went from manufacturer to hybrid assembler/manufacturer, and back to a manufacturer again. 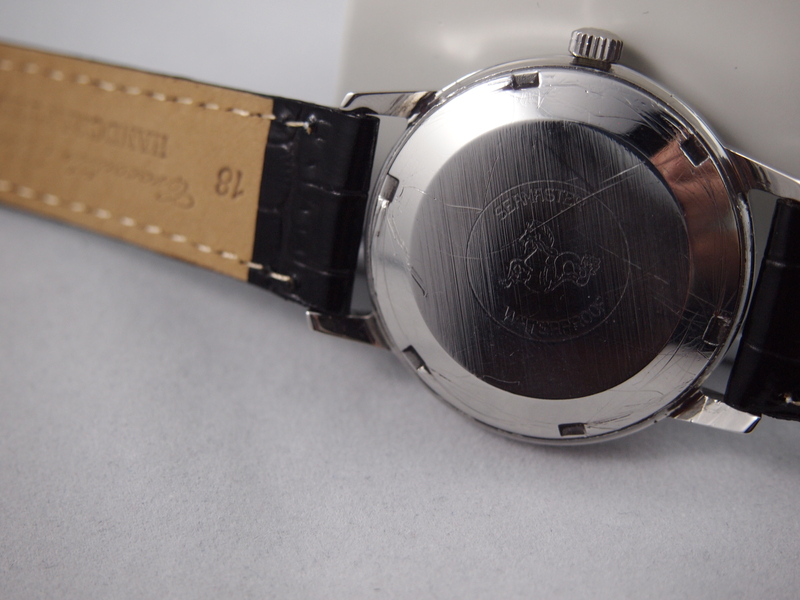 They now produce a number of innovative, well designed, and well made movements and watches. To their credit, even when they based their pieces off of other movements, they still managed to innovate. 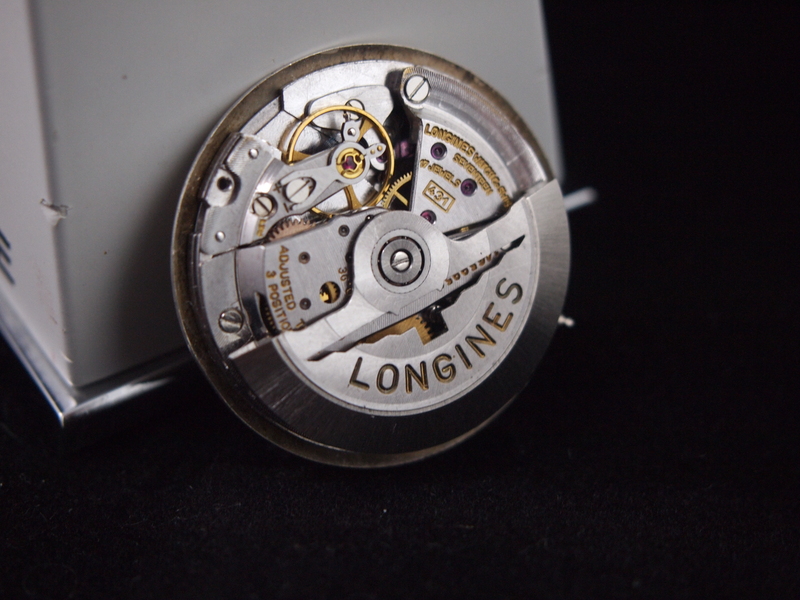 Examples include the first high-frequency movement in 1966 mentioned in my previous post on the Longines Ultra-Chron. 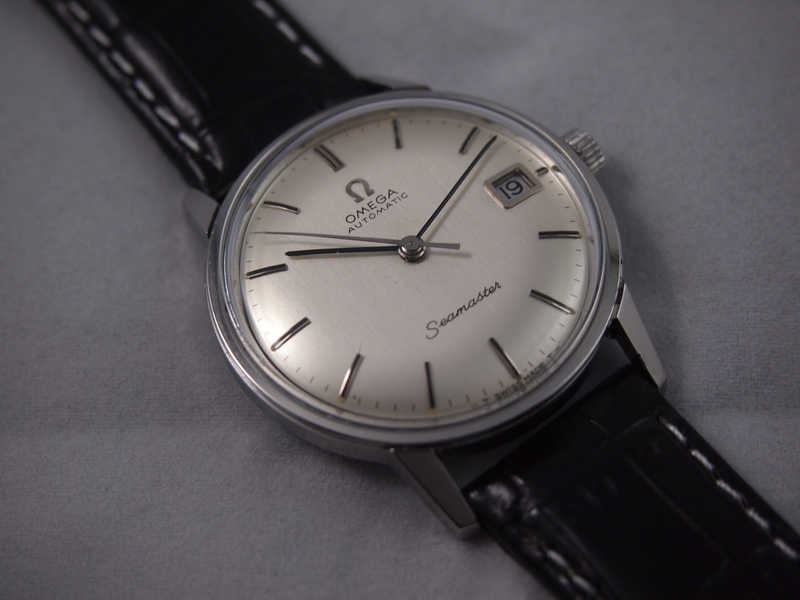 They also produced a quartz watch that vibrated at 37.768 Hz. To put that in perspective of mechanical watches (and briefly explain what makes quartz so accurate) a 36,000vph watch is only 5Hz. 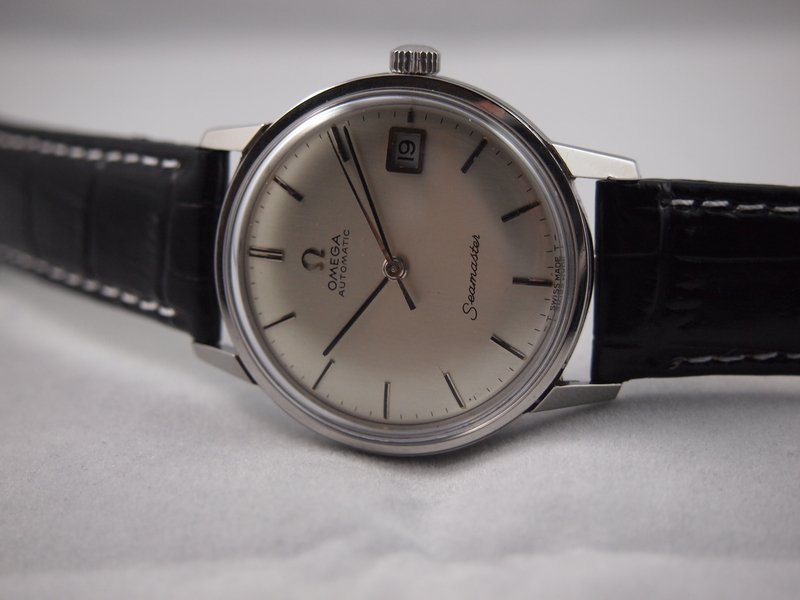 This rate became the industry standard for all quartz watches. 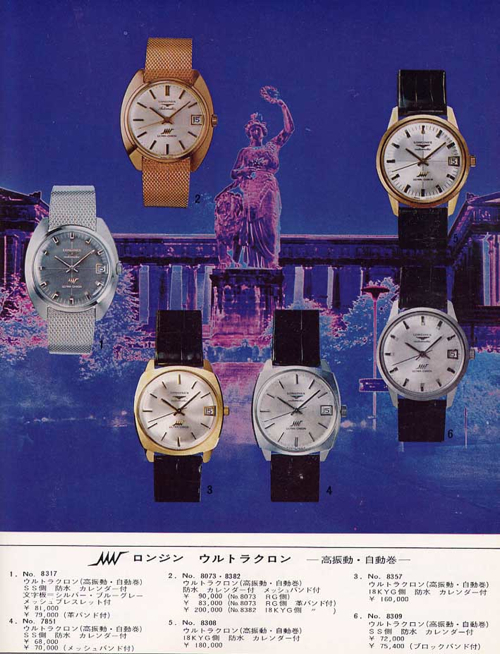 For a long time, they were a watch group without a strong identity. They bounced back and forth between the uses of their own super high-end manufactured movements like the famous Three Bridges Tourbillion and assembled ones, such as the example here and the well-known Gyromatic series. They dabbled everywhere which meant they were never really identifiable as a brand with a particular characteristic. This has changed under the leadership of the current CEO Michele Sofisti. They have moved to be almost exclusively manufacturers and have built a strong brand identity. While that means I will not be able to service those pieces for now (as in-house manufacture tends to mean the supply of parts is highly restricted) I must applaud and respect them for their step into full-on manufacturers. They have produced a myriad of new innovations and awe-inspiring pieces that bode very well for the future of the brand. 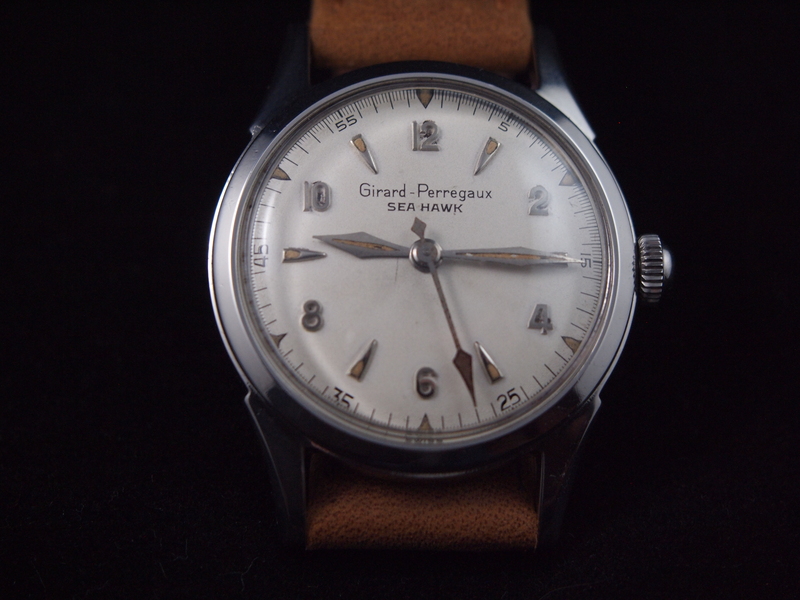 This particular Sea Hawk uses a manual ETA caliber 1081. While this is a well-made movement it is a far cry from the modern calibers that currently come out of their factories. I got this watch with a broken balance, knowing that because it is an older ETA, parts are relatively cheap. 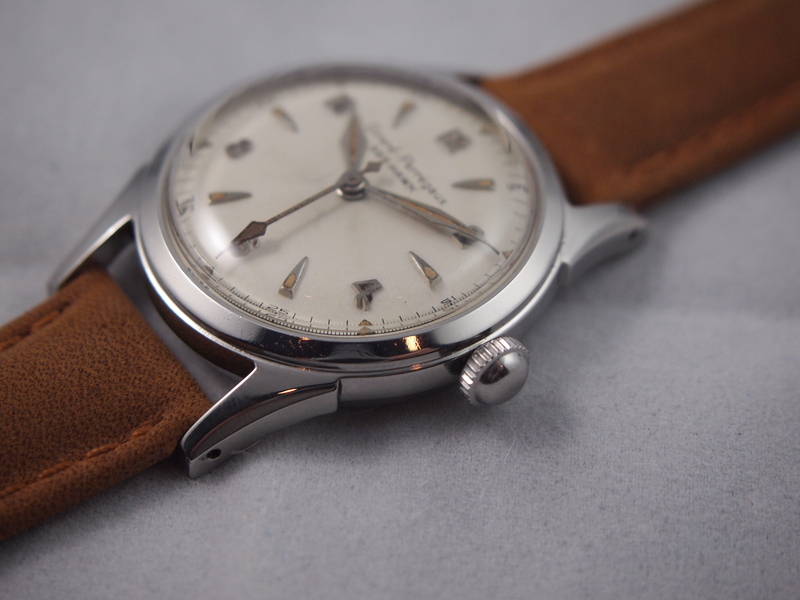 The good condition case and perfect patina are what drew me to this particular example. The unique hands make this stand out as a Sea Hawk of the time and are unmistakably Girard Perregaux. Once I got it all together and polished the case, I got a band that helps to accentuate the patina. 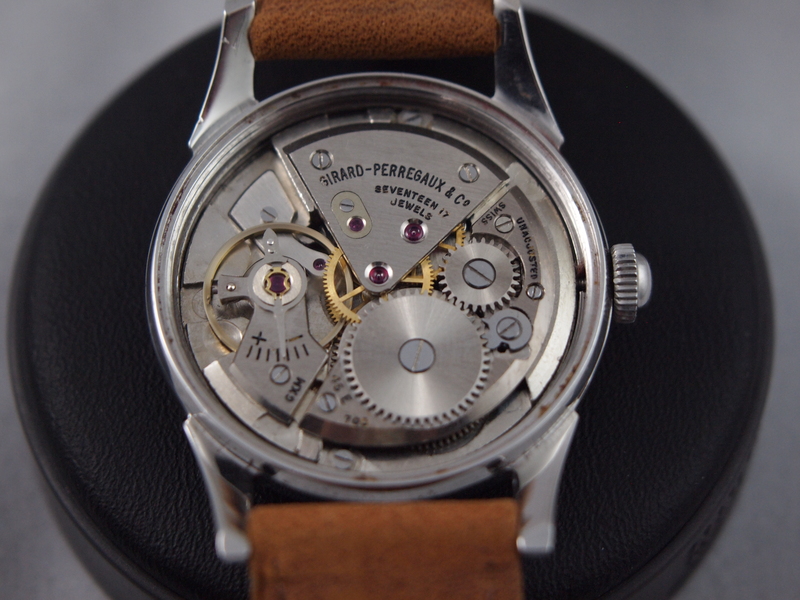 While it is most certainly a far cry from the current Sea Hawks, it is a great piece that shows that even when they were an assembler Girard Perregaux still added fantastic touches big and small to make pieces their own. I firmly believe in the old adage “if at first you don’t succeed, try, try again” but after this last watch I think it needs a new postscript. As it relates to watchmaking it should be “if at first you don’t succeed, try, try again (unless you are inflicting irreversible damage to the watch in which case either seek a professional or buy the right equipment for the job. )” Case wrenches are good up to a point. Many watches require much more torque to get the job done and that is why amazing watchmaking inventions like the Bergeon 5700z exist. 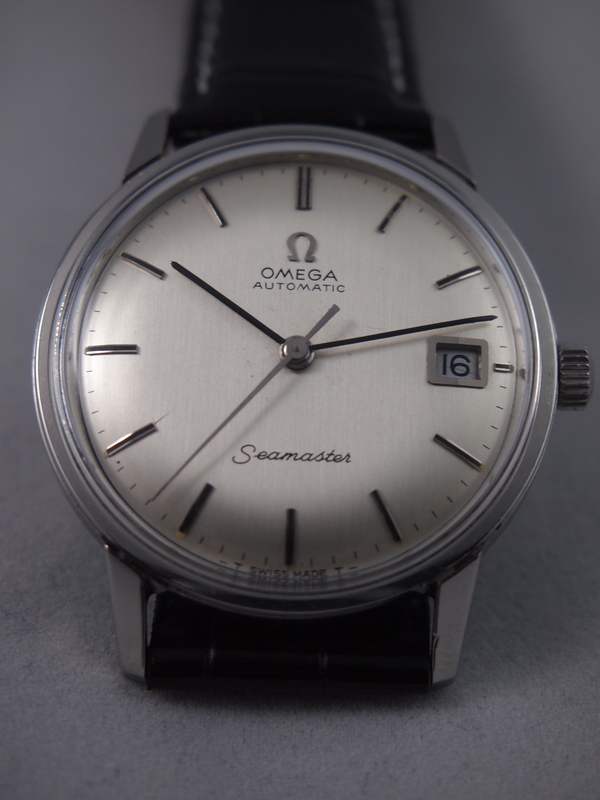 Unfortunately the previous owner of this gorgeous Omega Caliber 565 did not get the memo and instead thought that with enough elbow grease (there are a plethora of special greases for watches but “elbow” is not one of them) this case would finally budge. He/she (given the evident stubbornness I’m going to assume “he”) caused irreparable damage to the case back that could have been avoided had he opted to use more suitable equipment. The problem was that the gasket had melted and re-hardened in the threads. This made it impossible to open by manual force alone. A tight fitting into the nifty 5700z and a simple turn of the wheel and the case was opened. 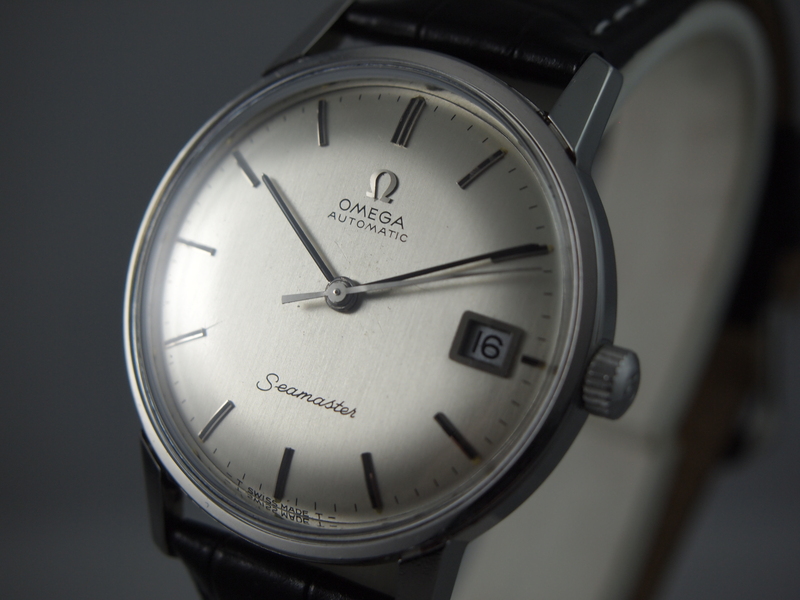 Once inside, the absolute beauty of a barely touched pink gold Omega movement, as it always seems to do, amazed me. 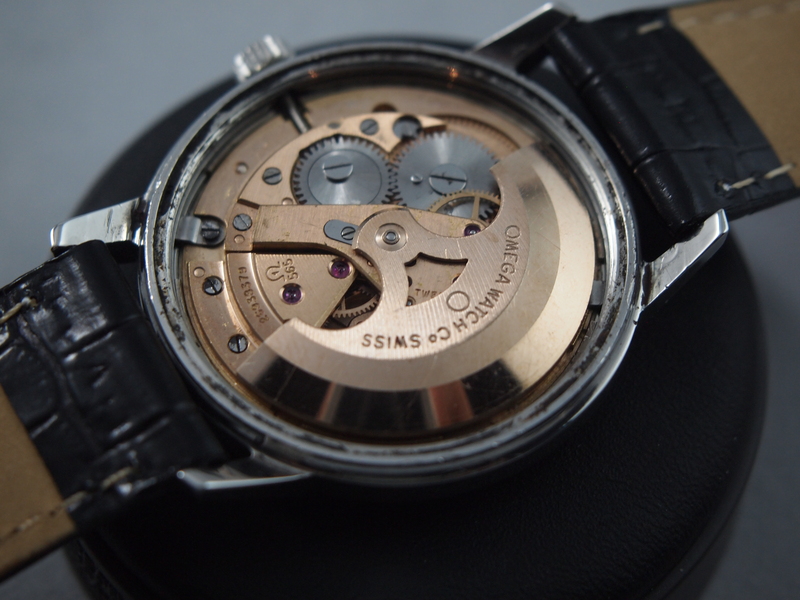 The Caliber 565 is similar to the earlier 560 except for one nifty change: a quickset date mechanism. 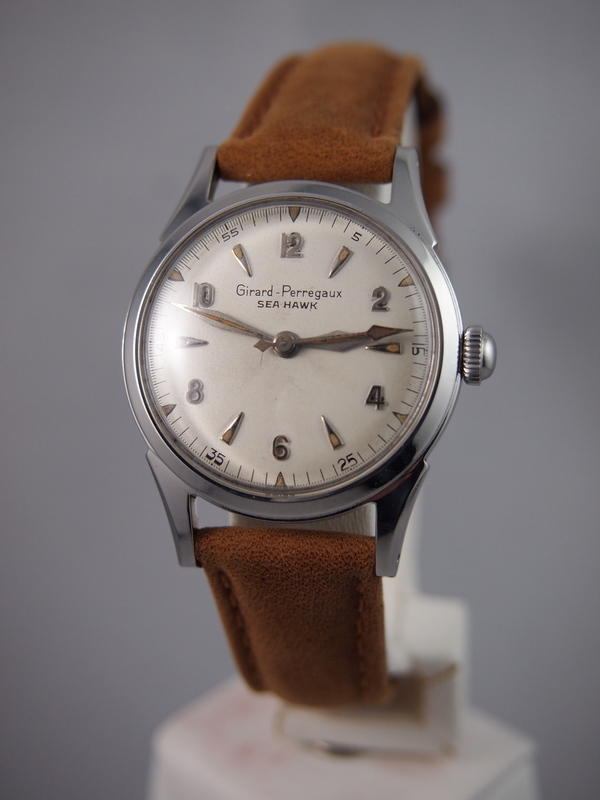 In many older watches that contain a date feature, one must manually advance the time so that the date mechanism engages to the proper date. This can be a huge pain when wearing a watch after a prolonged period in the drawer or, in my case, after fixing a watch and seeing that while the actual date is the 5th the display on the watch reads the 7th. With the invention of the clever quickset mechanisms this problem was solved. The 565 works by pulling the crown all the way out to advance the date, drastically decreasing the time necessary to properly set the date or advance it by a day at the end of some months. Once I got the movement back together and running well I got to the case. 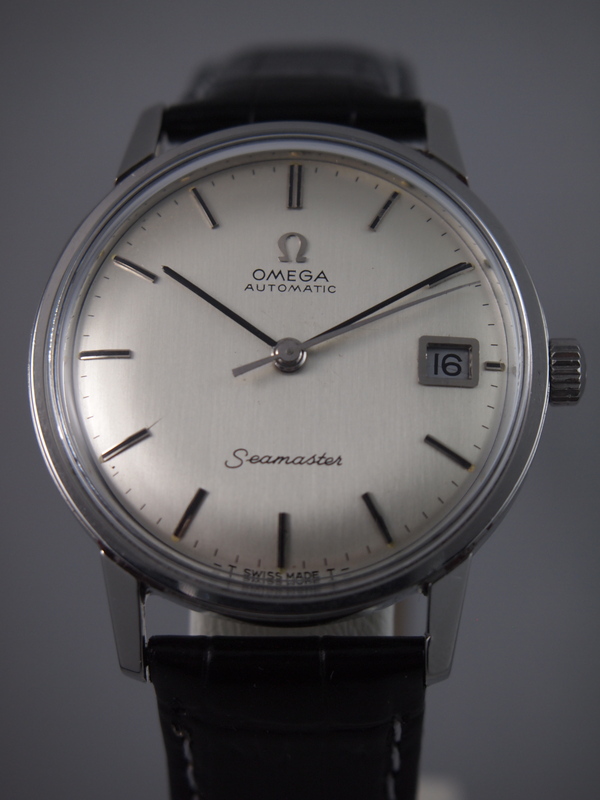 I tried my absolute best to remove as much of the superficial damage caused by the stubborn prior owner without removing the iconic Seamaster logo. I did my best, and it looks OK. Had the person given up in their attempts this watch would be mint. This is still a fantastic piece in great shape for its age. I have certainly seen worse, but all it would have taken was an acknowledgment of futility and this watch would have been perfectly preserved. It is now a mint piece from the front that shows an unfortunate past in the back. 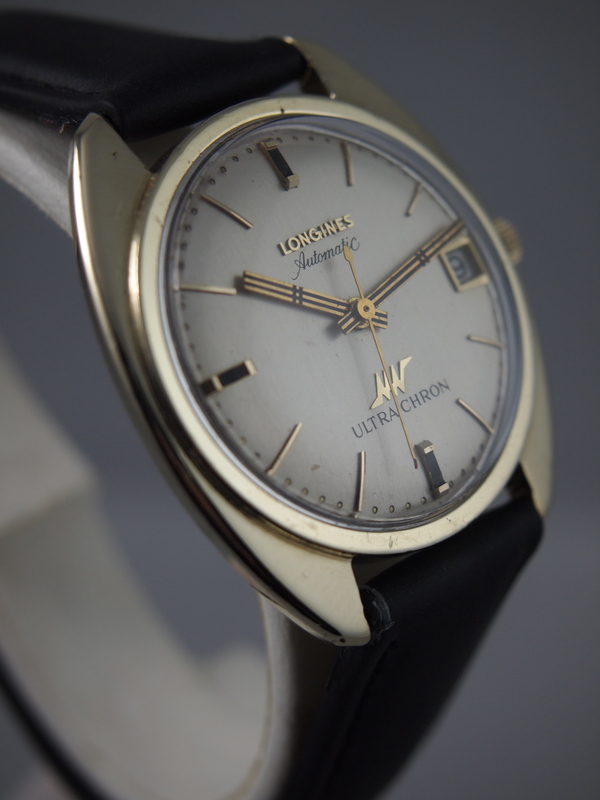 This Longines Ultra-Chron Caliber 431 was a labor of love (which is to say it took an incredibly long time and was more expensive than I had imagined.) The finished product is a wondrous movement famous for its rare and rapid tick. Once again I got more than I bargained for with buying a watch “As Is” but that is the nature of this work. That being said, I did not expect to see so much damage inflicted upon such a beautiful piece. A perfect storm of sloppy work, laziness, and incorrect parts substituted for proper ones necessitated the tracking down of several major and mostly obsolete parts to get this running properly. It required new balance jewels, shocks, a new main plate and a whole new calendar mechanism. The base rate that a watch beats at is 18,000 vibrations per hour (vph.) This means that the watch’s balance completes half of an oscillation 18,000 times per hour or 5 times per second. The theory behind higher rates is that more beats per second means less rate variation in different positions experienced during daily wear. 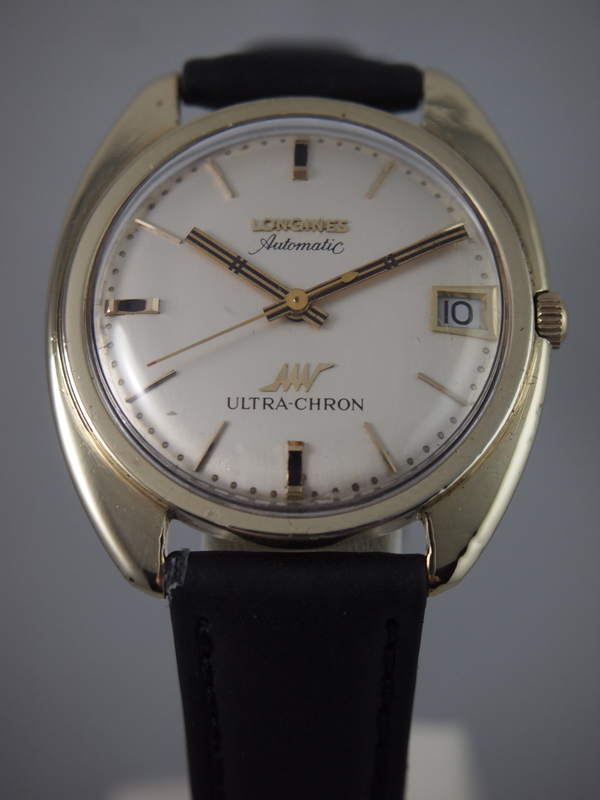 At the time that the Ultra-Chron was introduced, high-beat watches were at 28,800vph. 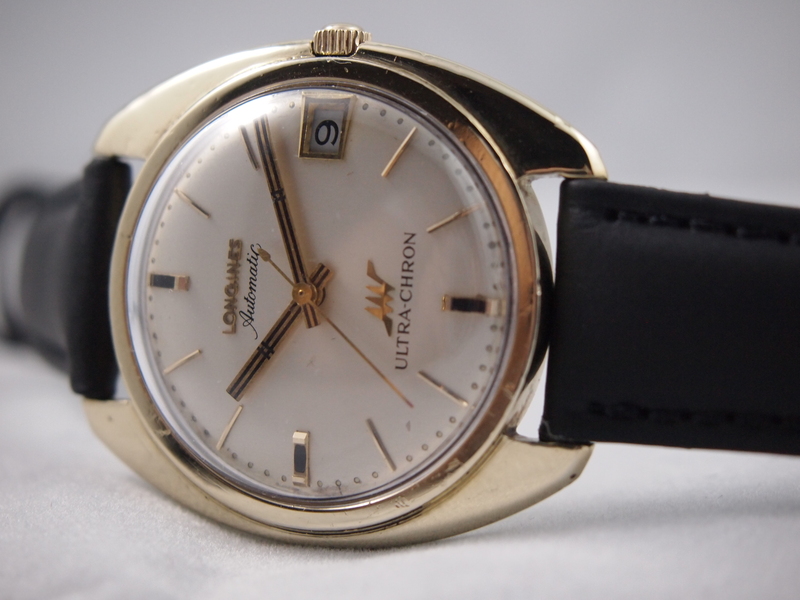 Then in 1966 Girard Perregaux came out with a watch that beat at 36,000vph or twice as fast as the standard 18,000vph. 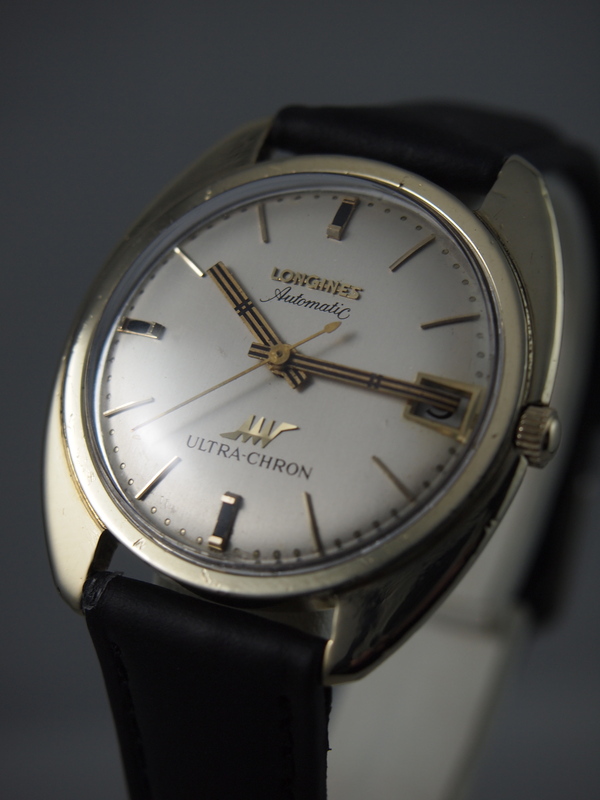 Longines soon followed in 1967 to mark their 100-year anniversary with their line of Ultra-Chron movements, which also beat at the astonishingly fast 36,000vph. Such a high beat requires some changes to the gear train. The balance wheel is noticeably smaller than a common one and the escape wheel has 21 teeth instead of the standard 15. Other than those two modifications however the mechanics are identical to any other watch. Additionally, the 36,000vph movements incur additional wear and present more lubrication issues than lower vibration rates. For this reason, the 28,800vph is now much more common among high precision calibers and the 36,000vph movements are seen as a short-lived example of “extreme engineering” in horology. 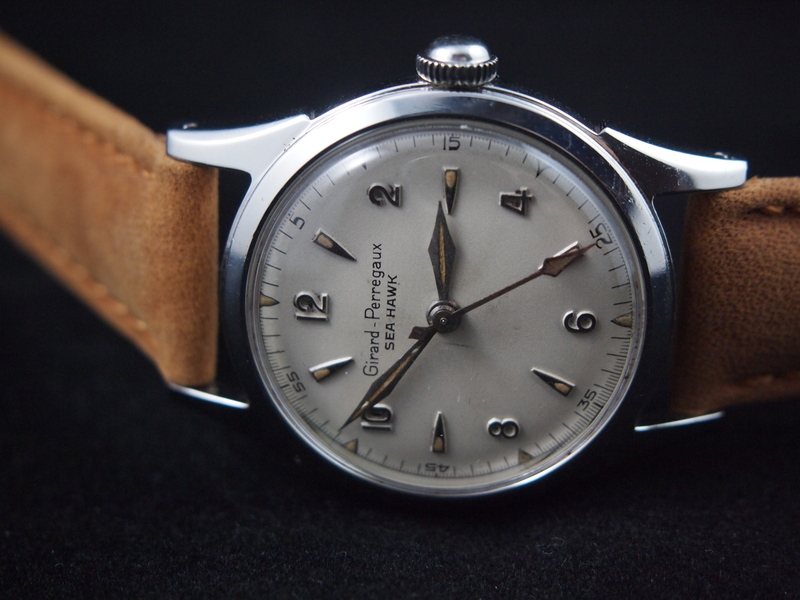 During their nine years of production Longines produced several caliber variations as well as a near infinite combination of case, dial, and hand designs from the very standard to the more trendy of the time (this piece clearly fits in with the latter.) As can be seen in the ad below, this watch originally came with a mesh metal band, but that was long gone by the time I got my hands on it. Personally I prefer it on leather. After an exhausting restoration, I am happy to have this beautiful piece done, ticking, and sitting pretty in the “finished” pile.